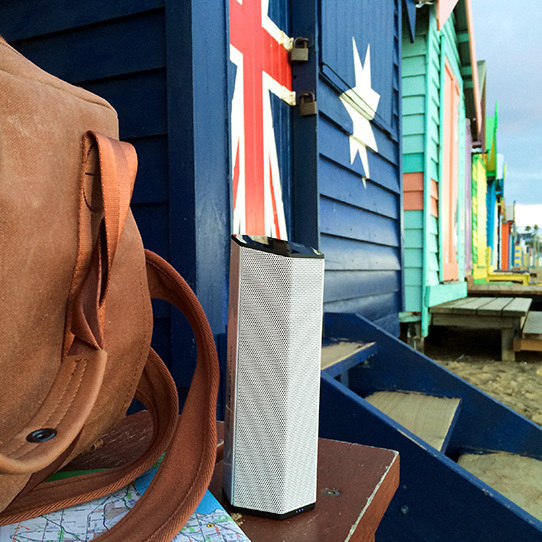 The Sound BlasterAxx AXX 200 will change the way you communicate and enjoy your audio. 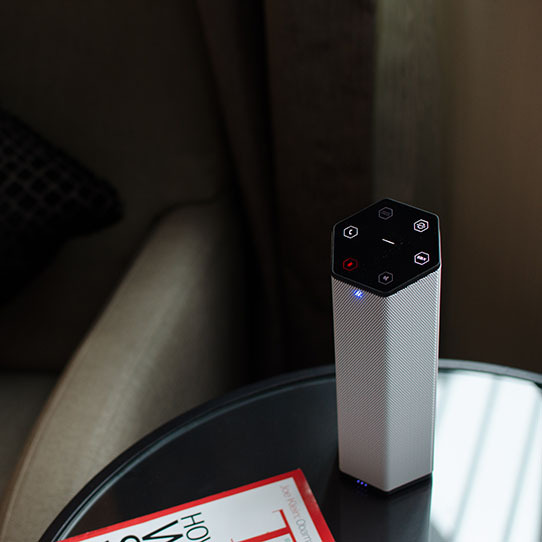 Its integrated SB-Axx1 audio processor enhances all your audio playback and recording in real time, bringing you an audio experience far beyond that of other wireless speakers. 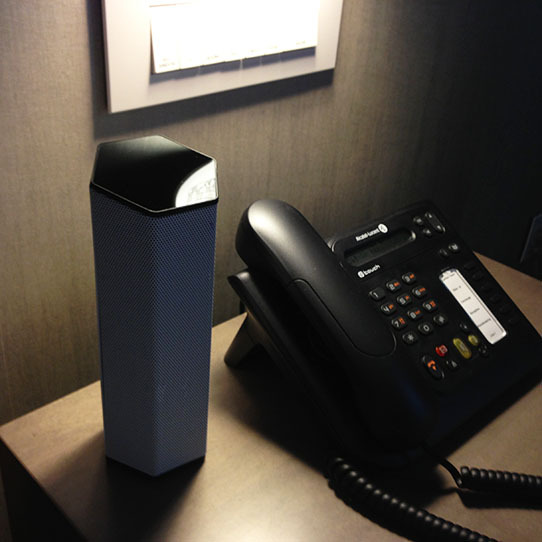 It also comes with a host of other unique features, including powerful teleconferencing capabilities, a Super Megaphone, a built-in microSD Card music player, and voice recorder. At the heart of the Sound BlasterAxx is the SB-Axx1 chipset - a new generation multi-core audio processor. That means that unlike other speakers that simply play audio as it is, the Sound BlasterAxx AXX 200 actually enhances all your audio in real time, giving you a dramatically superior listening experience for your music, movies and calls. Click on the logos below to learn more about them! 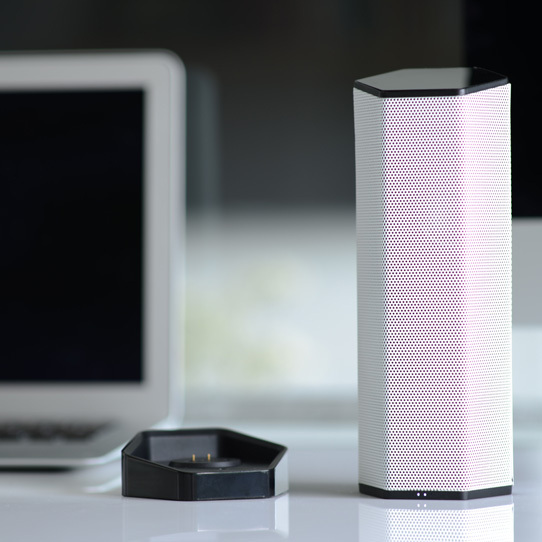 Traditionally, small speakers aren't able to deliver powerful audio. But we believe that the size of a product shouldn't define its potential. With that in mind, we paid special attention to how we built the Sound BlasterAxx AXX 200. We incorporated special circuitry which is designed to really pump up the volume, allowing it to deliver impressively loud audio despite its small, portable size. From enhancing clarity to automatically regulating the loudness of audio playback, the SBX Pro Studio suite of technologies intelligently improves the quality of your audio. 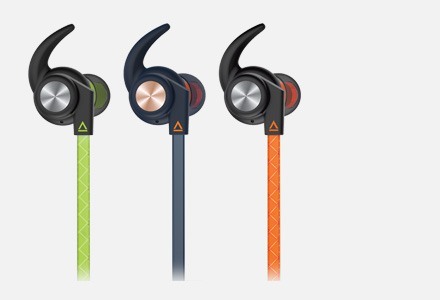 This means you get an unmatched audio playback experience for your music, movies, and games. 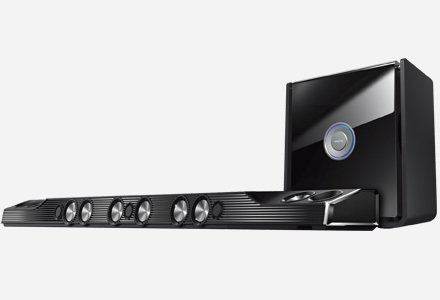 We paid special attention to how we designed the Sound BlasterAxx AXX 200. The patent-pending stacked stereo design houses two speaker drivers vertically, in one chassis. This saves space on your desktop, while delivering a great stereo experience. 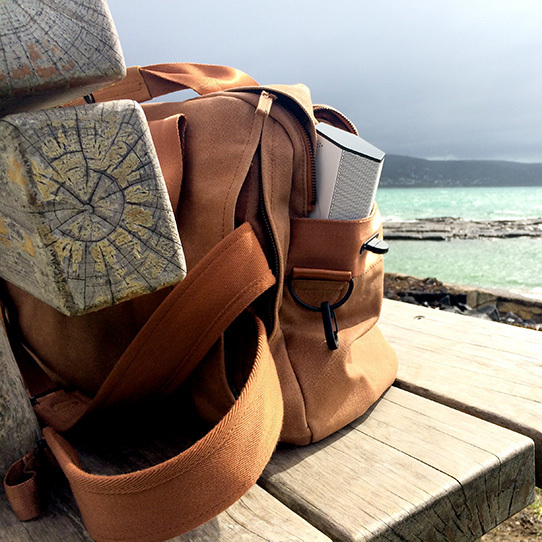 Its small size means it fits right into your hand, a design consideration that we knew was important for those constantly on the move. Easily access the main functions using the intuitive, touch-sensitive control panel, conveniently located at the top of the device. The Sound BlasterAxx AXX 200 features a quad microphone array - that's FOUR microphones - that allows for clear 360° voice recording and pickup, ideal for calls. This makes it the perfect personal wireless mobile teleconferencing system. The SB-Axx1 processor powers a whole suite of voice enhancement technologies not even found in high-end teleconferencing systems. From reducing unwanted background noise to optimizing your voice even as you move around the room, CrystalVoice Technology ensures you get the best voice communications experience. With CrystalVoice Focus technology, the Sound BlasterAxx AXX 200 shoots an acoustic beam* around you and suppresses all noise from outside it. This makes it great for calls even in noisy environments. You can define just how wide the acoustic zone is, meaning you're in full control of what's heard and what isn't. Instantly change your voice into different fantastical characters with CrystalVoice FX, great for playing pranks on your friends. Aggressively amplify and blast your voice on-the-fly, be it for grabbing attention or directing a crowd. Then add an insanely loud siren to stamp your authority! Sing out loud with the Super Megaphone! 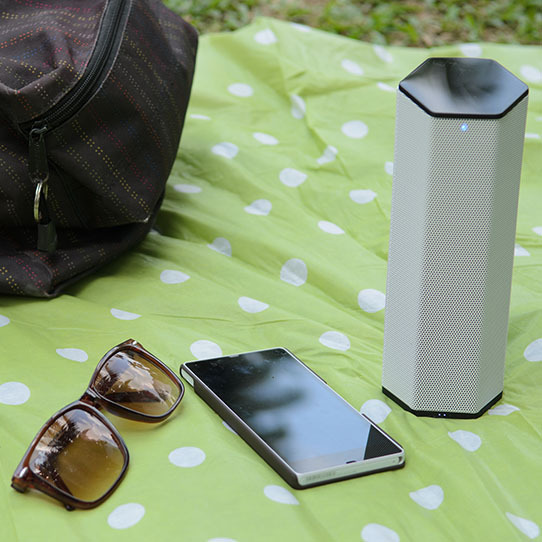 Simply play your favorite song from your smartphone or from a microSD card and sing along. You could also use it along with the multitude of third party karaoke apps available for download. If you need to make a voice recording or even a song demo on-the-fly, the AXX 200 is all you need! 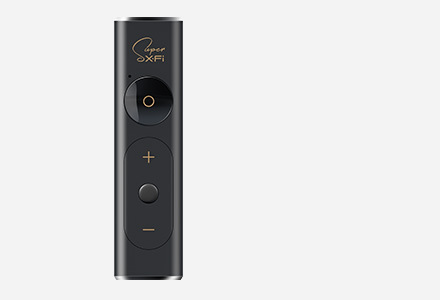 It comes with four high-quality microphones for all-round 360° voice pick-up, making it ideal for accurate voice recording. Just insert a microSD card and you're ready to go. Get extensive audio control right in the palm of your hand with the free Sound Blaster Central app for iOS and Android devices. Use it to wirelessly customize all your Sound BlasterAxx AXX 200 settings, so you hear your audio just the way you want it. 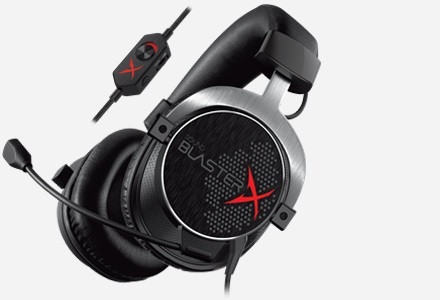 You can even watch videos on how to get the most out of your Sound BlasterAxx. Download for iOS and Android now! 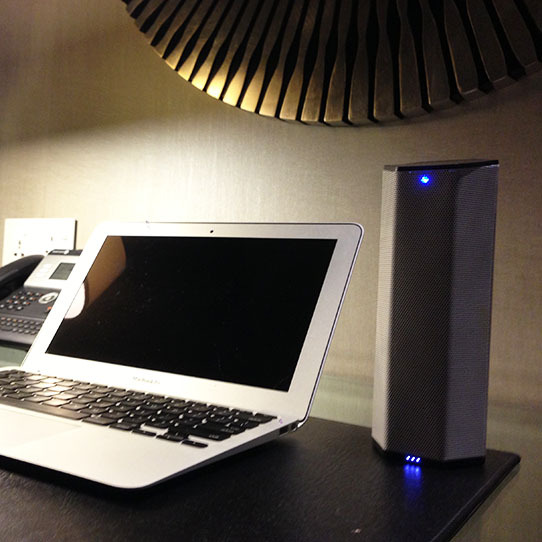 You can also connect the Sound BlasterAxx AXX 200 to your PC and Mac via USB and use it as your desktop speaker. You can download Sound BlasterAxx Control Panel, a PC and Mac software that lets you customize all your audio settings. This additional software suite includes WaveStudio for creating and integrating a voiceover recording into your videos. Also included is the Creative Media Toolbox 2, an essential suite of software applications that will make converting, enhancing and organizing your digital music a breeze. 2 Creative Media Toolbox is a trial software and will expire after a certain period. Make manual Bluetooth® pairing a thing of the past! With Near Field Communication (NFC) technology, you can pair your NFC-enabled smartphone to the Sound BlasterAxx AXX 200 with a simple tap. Wireless connectivity has never been more convenient. Get low-latency wireless audio as good as that of a wired connection! The Sound BlasterAxx AXX 200 supports superior wireless audio codecs such as aptX® and Advanced Audio Coding (AAC). 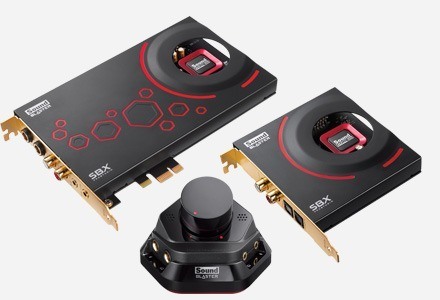 Connect up to two smart devices to the Sound BlasterAxx AXX 200, simultaneously! This means you can play and enjoy great gaming audio from your tablet, and then immediately switch to your smartphone to take a call. Enjoy amazingly clear VoIP calls while connected to your PC or Mac® via USB. 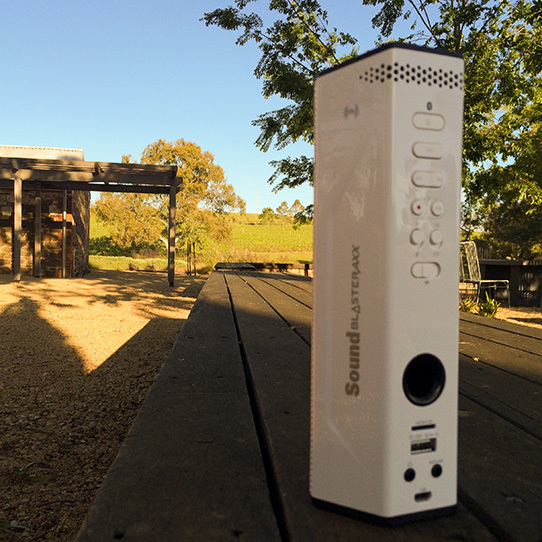 The Sound BlasterAxx AXX 200 also provides high-quality USB audio while charging. One of the trade offs of using your smart phone as your audio source is that your phone can run out of battery pretty quickly. That's why we've built in an alternative: the integrated WMA/MP3 Player. Simply pop in a microSD card containing your favorite music and press the play button. It's that easy. Take full advantage of the impressive quad microphone array to record anything you want, directly onto the microSD card. This is great for recording phone conversations, speeches, discussions or even your own demo track. It's frustrating to have a portable speaker that runs out of battery after just a few hours' use. You're not going to experience that with the Sound BlasterAxx AXX 200. Its built-in battery provides up to a whopping 15 hours 1 of battery life, so you can party all night long. You know what else is frustrating? Having your smartphone run out of battery, that's what. That's why we've designed the Sound BlasterAxx AXX 200 to double up as a portable backup battery for your smartphone, so you've got up to 5200mAh of emergency power right when you need it most. With its durable metal grille and highly portable form factor, the Sound BlasterAxx AXX 200 is your ideal audio companion on-the-go. Get acquainted with the AXX 200's controls, connectors and connectivity options with the User Experience Guide. We've also included brief descriptions of the various advanced audio technologies found within the sound system. For audio pick-up from the rear! Entertain with the Super Megaphone; control your MP3 playback; make a voice recording! 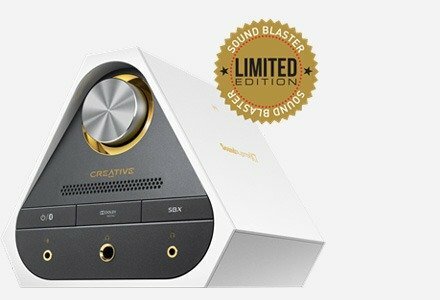 The Sound BlasterAxx AXX 200 features Creative Labs SB-Axx1 multi-core audio processor and puts out some very good quality audio. This would make a great speaker system/sound card for your gaming laptop or even to plug the audio output of your backyard projector into for family movie nights... Overall, the Sound BlasterAxx AXX 200 portable sound system is a very cool sound solution that will replace a great many device types. 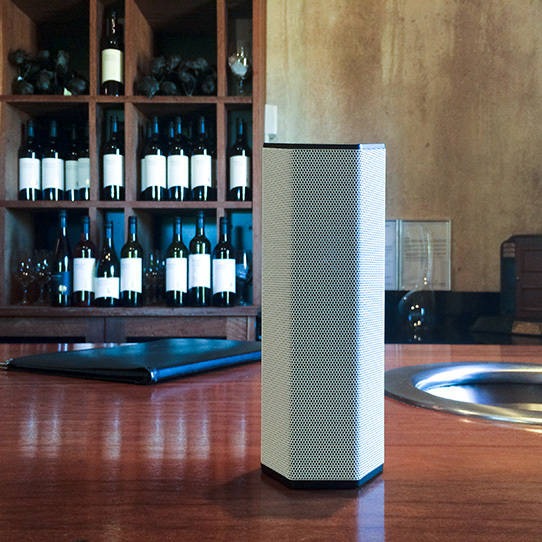 ...the Axx 200 does more than any good speaker has a right with the performance to match. Phone calls, music, games, karaoke, voice recording and MP3 player… If this is not on your Christmas list this Holiday season then you’re not serious about Bluetooth. High end Bluetooth speakers generally retail at around the $100-$200 range and not one of them has the insane amount of features you’re getting with the Sound Blaster AXX 200. 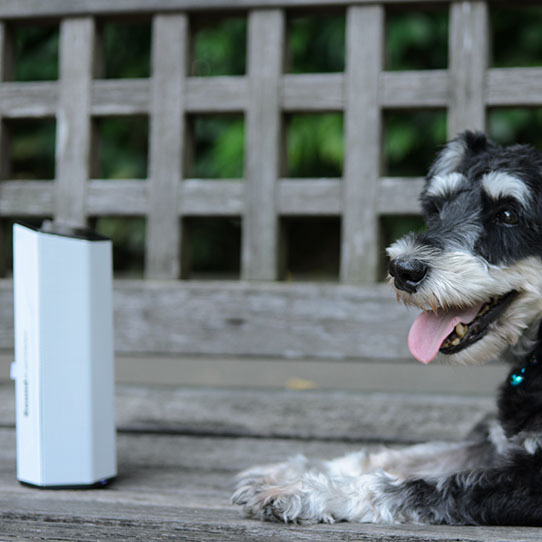 It’s a wireless speaker, a microphone, an external sound card, a USB battery pack, a voice recorder, a megaphone, and an integrated MP3 player in one. 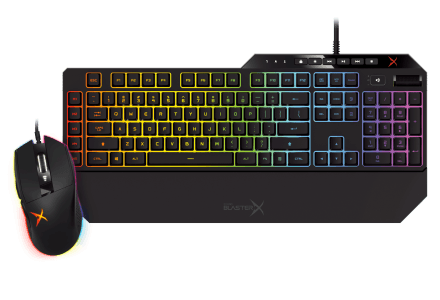 It has so many features, it’s simply impossible to describe what the Sound Blaster AXX 200 really is. There’s really nothing out there quite like it. 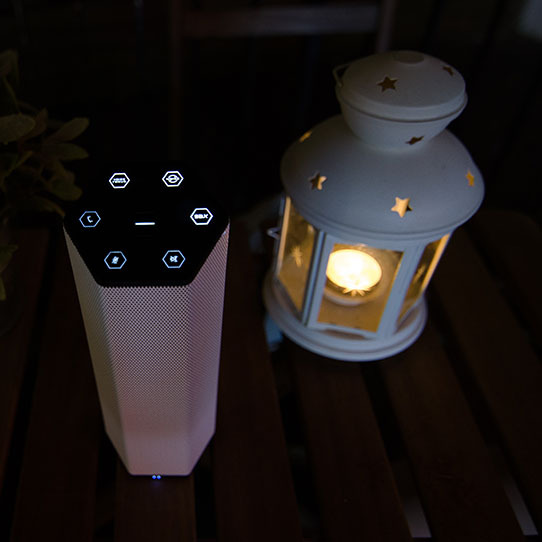 So if you’re looking for a great sounding, high-quality, and feature-rich wireless Bluetooth speaker that looks as attractive as it sounds, the Sound BlasterAxx Axx200 should be on the top of your shopping list. The fact that you can have so much fun using the Karaoke and voice effects (my daughters loved this! ), then also use it as a telephone speakerphone means that it’ll be perfect for both young and old. Without a doubt, the AXX 200 Speaker System is one of the most unique, fully featured audio devices that I have ever used. The fact that it was portable was a huge plus, especially for laptop enthusiasts looking for better sound quality and gaming effects. 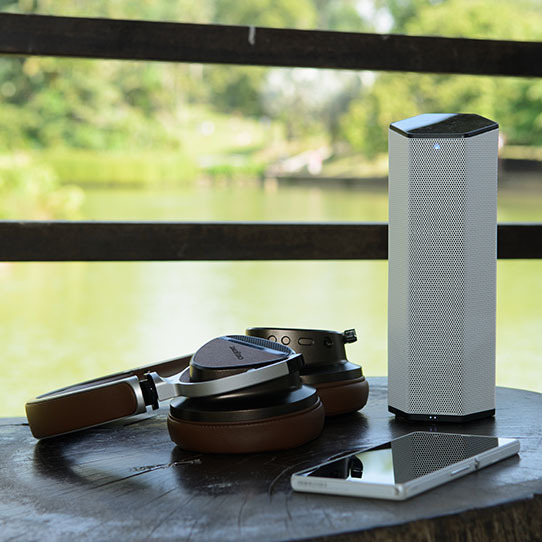 There are plenty of other Bluetooth-compatible speakers on the market that have better bass response and impact and some also rival the AXX 200's hardware feature set, but I have not found any that have the user-friendly, cross platform software found with the AXX 200. ...it is a pleasure to use, and you even get an app that lets you adjust a bunch of performance-related parameters. The fact that it also has an integrated player on board is a touch of genius for use on the go. It's a small device, but the sound feels full bodied and wholesome. Bass has personality and there's smoothness in the midrange. As part of Creative's Sound Blaster range, it also packs in SBX audio enhancement tech, which improves the sound quality of your tunes. Crucially, it also makes phone calls clearer. It looks great, sounds great and for this price the Axx 200 outshone our expectations right across the board. Powerful and stable bluetooth connection. Great Treble, Really Good Bass, super portable and creative design. The App that compliments this speaker is superb. It's been a year and still going strong 💪. Great sounding audio belies the size of this speaker. Fantastically versatile and still going strong 3 years later. Everything is awesome. Sound from this speaker is amazing especially the mids and highs which put some larger speakers to shame. SBX is awesome and must be turned on. Battery life is awesome too. Hope future products include better mp3 playback, color options and navigation options and FM radio. This is one of the best products I have bought in recent years. I needed good quality sound for my wide range of music from baroque to World Music. Preferring external sound to ear phones this was the product for me. As a lecturer needing to record talks and discussions the AXX200 does that perfectly. I have yet to exploit all the facilities on it but look forward to discovering more uses. A very interesting product. Multi-talented. 1.) 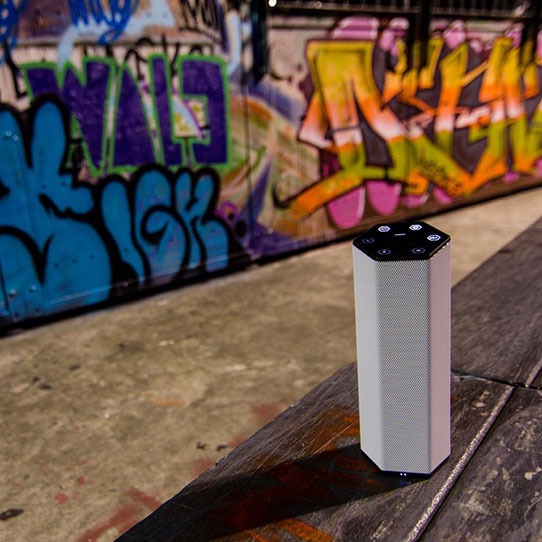 A good quality wireless speaker. It connects wirelessly with devices. Connection was brisk and play back quality outstanding. 2.) Entertainer. Try speaking like an Orc? This device allows you to do just that. Or mimic the Chipmunks? The kids love it! 3.) It's a "Loud Hailer". Yes. 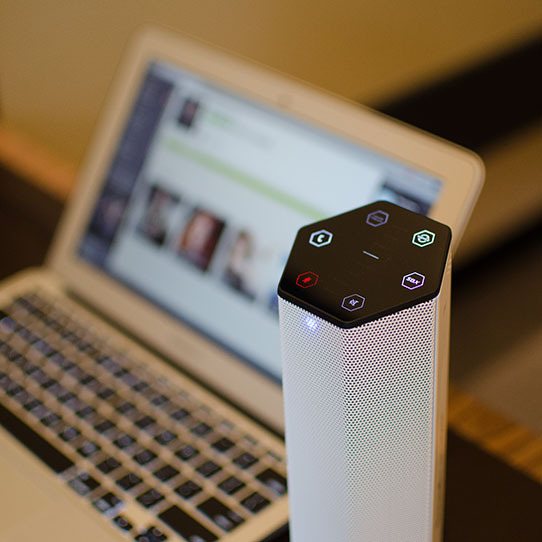 If you need to get someone's attention, this multi-functional device allows you to project your voice. 4.) A mic and speaker for tele-conferencing. Imagine good quality voice and audio for your tele-conferencing! 5.) Charger. Apart from the audio functions and quality, this device also functions as a charger! High quality appearance, handy size. Sound could be better, but it's the matter of element size. I am an 83 year old person and my hearing is pretty poor but with your Soundblaster AXX 200 I have linked it with the TV and have it standing on a table next to my chair. I can hear perfectly without having to wear headphones as I have had to do for a long time. It is the greatest piece of equipment I have bought for years. I cannot stop telling people what a boon it is. I bought this product to use with my youth theatre group, it picks up the music tracks from our ipod brilliantly and is much less hassle to carry around than the speaker we normally use, plus we can use the karaoke mode for them to practice singing. Great sound quality as always from creative, and the voice effects will come in handy too. Great battery life so far better than the ipod in fact so I guess the charging facility will come in handy too. Best entertaining device thus far! Fun and useful! Would be great if there's a proper gripping for singing. I really like my sound blaster. Great sound, easy to use! Delivery within two days. Excellent!! 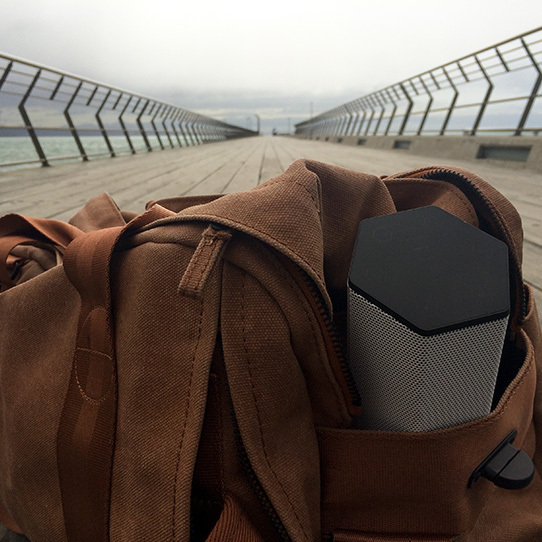 Very portable and loud with good sound quality.